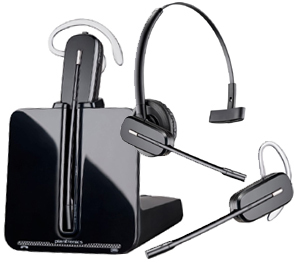 Q. What’s the differences between a Plantronics CS50 and the CS55? A. 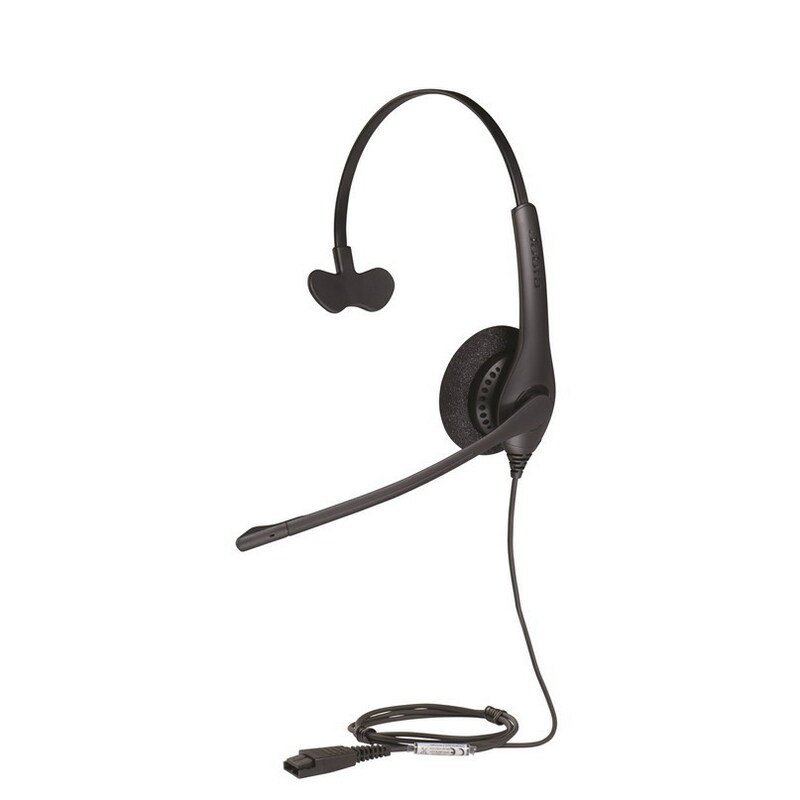 The headset itself look identical and operate in the same way. The CS50 base is a little taller due to the different frequency it operates on. The CS50 operates at 900MHz and the CS55 operates at 1.9GHz (DECT 6.0). The CS55 is specifically designed not to interfere with other wireless devices, such as Wifi, wireless keyboard, etc.. Another difference is the talk and standby times. The CS50 battery provides up to 8 hours of talk time and 40 hours of standby time, while the CS55 battery provides up to 10 hours of talk time and 50 hours of standby time. Our own test results shows that we get better wireless range (higher output) with the CS50 than the CS55, which explains the less talk time of the CS50 (8hrs vs. 10hrs). Q. What does the beeping sounds from the Plantronics CS50/Plantronics CS55 mean? A. (1) One beep every 10 seconds is caused by a low battery warning. Recharge the battery by returning it to the base charge cradle for one to three hours until charge light stays lit or quits blinking. (2) Two beeps is an out of range warning. Move closer to the base unit. (3) Three rapid beeps every 15 seconds indicates your mute is on. Press the mute control once to turn it off. When the optional HL10 or HL1 handset lifer is connected, three rapid beeps indicate a call is coming into the headset. Press the talk button on the headset to answer the call. Q. 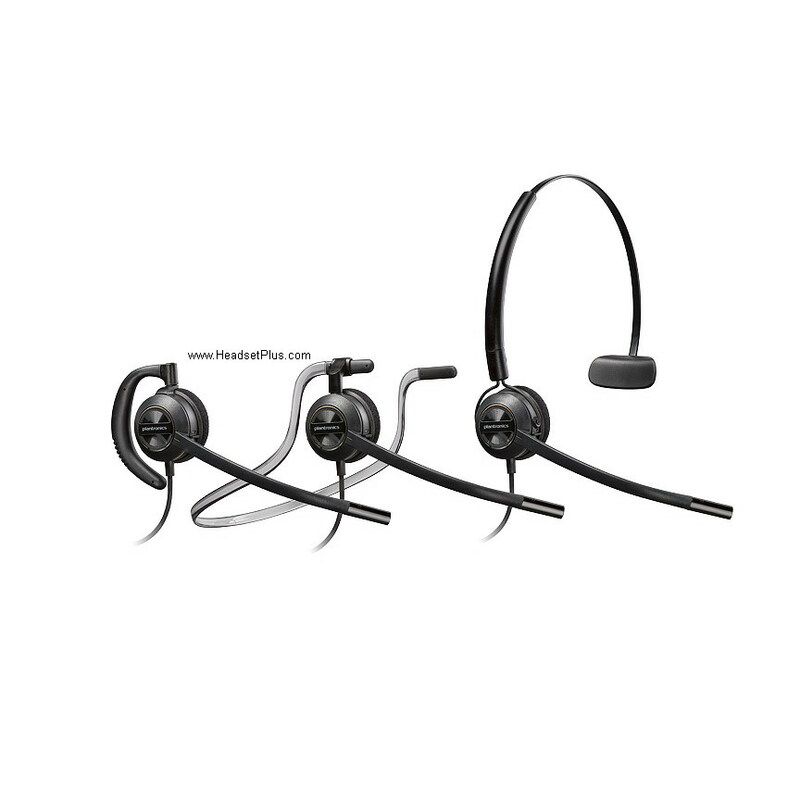 Does the Plantronics CS50/CS55 use Bluetooth technology? A. 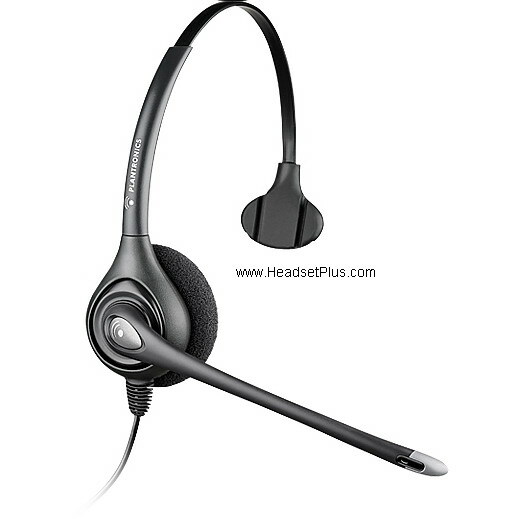 No, the Plantronics CS50 and CS55 headsets do not use Bluetooth technology. 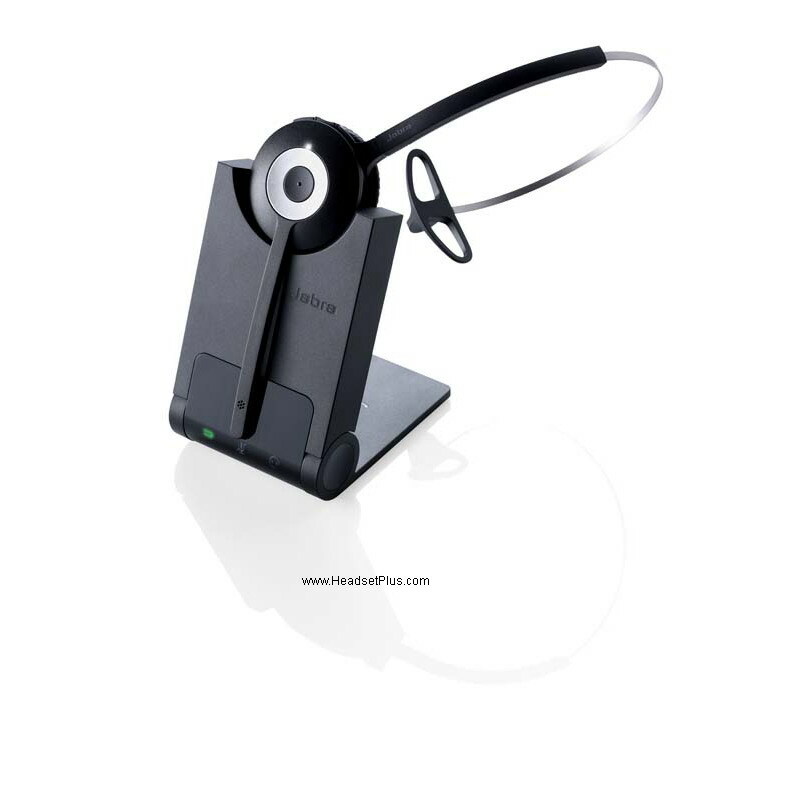 They use other digital wireless technology designed for office use with greater roaming distance. 33ft (bluetooth) vs. 300ft (CS50/CS55). The CS50 is 900 MHz Digital. 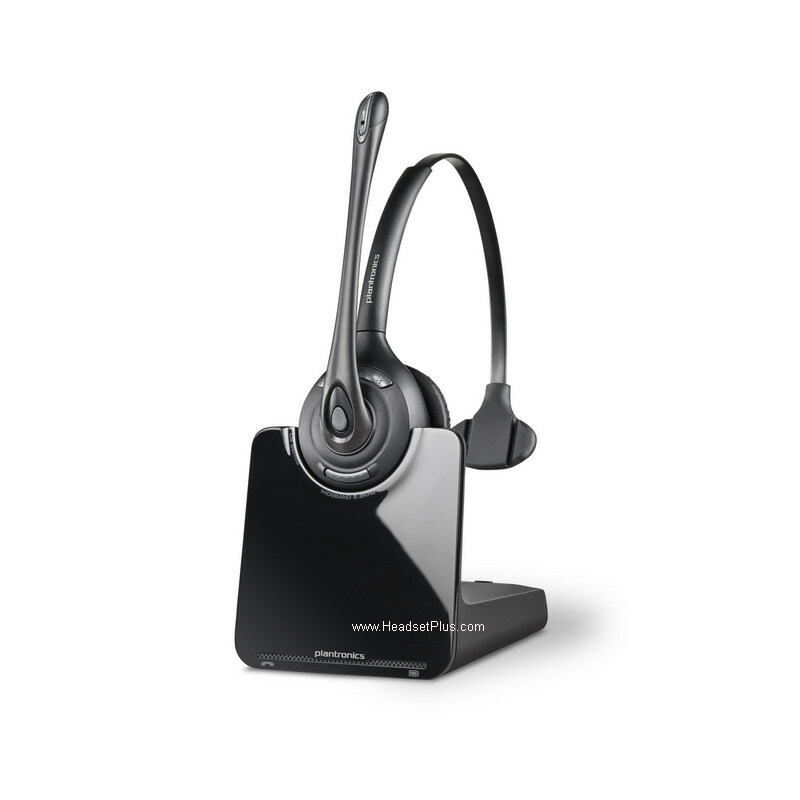 The CS55 is 1.9 GHz DECT (Digitally Enhanced Cordless Telephony). Q. How many Plantronics CS50/CS55 & CS50-USBs can be used in one area? A. These units can be used in high density with certain limitations. If using more than 40 units in an area, the 300 ft. range of each headset will shorten as it tries to maintain a clear signal. Q. My Plantronics CS50/55 battery talk time is significantly degraded, even after a full charge. What should I do? A. You may need a replacement battery. Call our sales department 877-999-3838, and we can provide information on how to replace the battery. Q. Do I need to replace the battery in my CS50/55? A. If your headset does not turn on (no green light), then your battery has no charge. Place your headset on the charging base, and look for the base’s amber light. If the amber light blinks, then your headset needs to charge. When the headset is fully charged, the amber light will become solid. If, after a full day, the amber light continues to blink, it may indicate a charging problem with the battery. If your headset never fully charges, or if your fully charged headset gives less than 8 hours of talk time, then your battery may need to be replaced. Plantronics CS50/CS55 battery can be purcahse directly from us. 1) Remove any ear loops or headbands from the headset. 4) If you have a replacement battery, attach it by clicking the two white plastic connectors together. Then reassemble the headset by replacing the battery door. Reattach any ear loops or headbands. Q. I hear an echo/side tone on my wireless unit. What should I do? A. Echo is usually caused by the transmit (speak) level on the unit being set too high. First, try lowering the volume of the telephone. If you still hear an echo, adjust the volume of the headset itself. The master transmit controls of the headset are the ABCD switch settings on the bottom of the base. A is the lowest and D is the highest setting. You can fine tune this setting with the plus (+) and minus (-) buttons on the back of the charging base. If this doesn’t fix the echo, try moving the configuration dial on the left side of the charging base. The recommended setting for most phones is 1. Q. I hear heavy static on my CS50/CS55 headset. What should I do? A. Static can usually be fixed by a simple reset. Go to Plantronics CS50/CS55 reset instructions on the bottom of the page. headset? A. Yes, it does have to be off of the hook. The reason you have to lift your hand held receiver on and off the hook, when you are using the headset, is because the headset only replaces the hand held receiver of the telephone. It does not change how the phone functions. If you do not take the hand receiver off the hook when placing or answering a call, then the call will not come through. If you do not hang it back up when done with the call, the phone will be left off hook, and will appear busy. In order to not have to lift your hand held receiver on and off the hook when you use a headset, is if the telephone has what is called an “On-Hook Dialing” feature. To have this feature, your telephone would either have a dedicated headset jack, so that you may bypass the hand held receiver jack. Or the telephone would have some type of headset programming feature, where you program the telephone for Headset use, then press a designated button on the telephone to answer and hang up calls, when using the headset. You can look in your telephone’s manual or contact the telephone’s manufacturer to see if that phone has either of these features. Q. How can I eliminate interference from a radio station? A. Try to re-position the unit, preferably away from other electric devices. Also, try plugging it directly into the wall outlet, rather than a power strip. You may have to purchase a Plantronics RFI noise filter. Q. Can you charge a second battery for the Plantronics CS50/CS55 & CS50-USB while using the unit? NOTE: Before re-subscribing the system make sure the IntelliStand switch (on the right side of the charging base) is in the “_” position and NOT the “=” position. Press and hold both the + and – buttons on the back of the charging base until the red light on the front of the base starts to flash. Let go of both buttons. The red light should continue to flash. Press the mute switch (black wheel on the top of the headset) straight down until a green light appears on the headset. Then let go of the wheel, and the light should remain on the headset. Disconnect the AC power adapter from the bottom of the base unit for 5 seconds, then reconnect it.Resubscription is finished when the red light on the base is fully illuminated and the green light on the headset disappears. Remove the headset from the charging base, and press the talk button. The headset and base should now be connected. If the re-subscription fails within 2 minutes the headset will return to the un-subscribed state. Try again or call our Technical Support @ 1-800-544-4660.